Architecture schools are responsible for preparing students for new challenges. Unfortunately, this does not happen always. We are interested in designing educational processes where academia and society can relate and learn together. Our projects have led us to principles that define our philosophy. 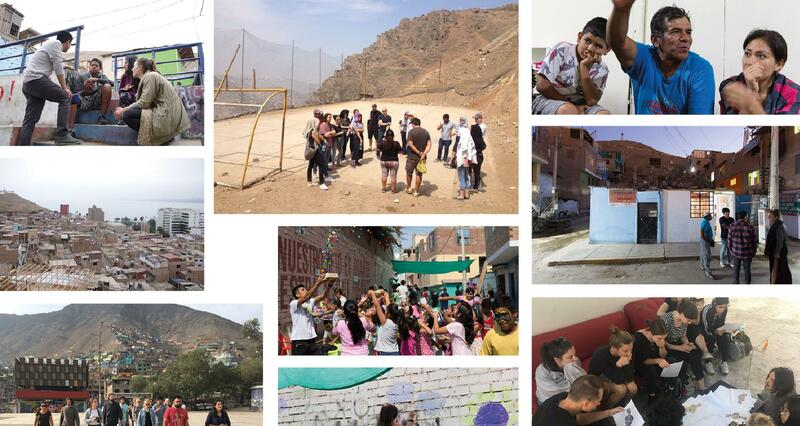 The workshop “Lima 3.0” serves us to explain these ideas. Projects should be realized by the union of different actors that can work together for the same dream. 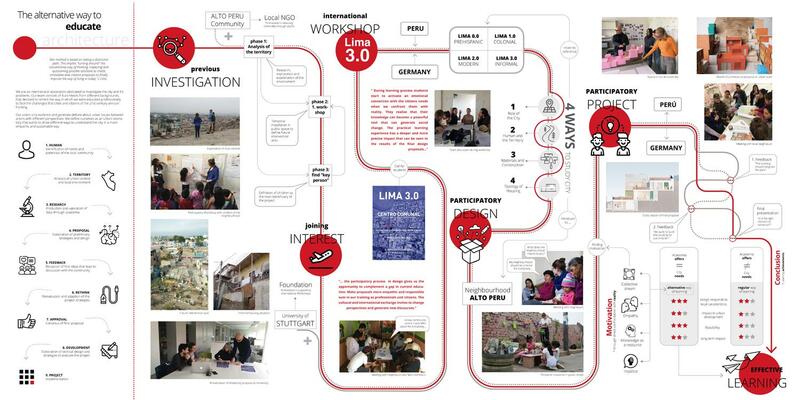 “Lima 3.0” represents the idea of connecting a community with international architecture students. Also, the local NGO and a foundation interested in financing our educational project joined us to push together the project. It is necessary to study the context going from urban to human scale. 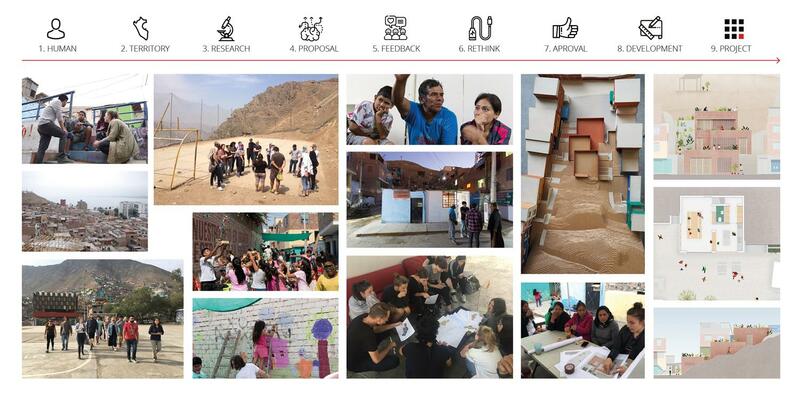 In “Lima 3.0”, we proposed students to study the historical layers of Lima to understand city growth and how informality is established as a system for city development. Through dissertations, visits, and debates, we reached a point where international students could understand how territory influence people. Architecture and territory are always influenced by dreams. To understand the human scale of the communal centre we had several participatory sessions with neighbours. These end up with an architectural program that served as a starting point for the final design. The debate always takes us to the best decisions. During all the design process, several meetings were organized to discuss the final design with everyone. For us dialogue represents an essential tool to get a collective consensus. Community projects should always be planed as long-term projects to involve everyone on it. On the other hand, immediate activations are useful to maintain the interest of all actors and to test strategies. During the workshop, a street in Alto Peru was temporary activated to help us understand social dynamics in public spaces and integrate them to the final proposal. These principles are the result of projects in informal communities in Peru where academia and society worked together. The confrontation with reality in our workshops generates a change of paradigm in students and citizens to empower them to be part of a social change. With our work, we want to invite everyone to find their own way to understand territory and people through architecture.